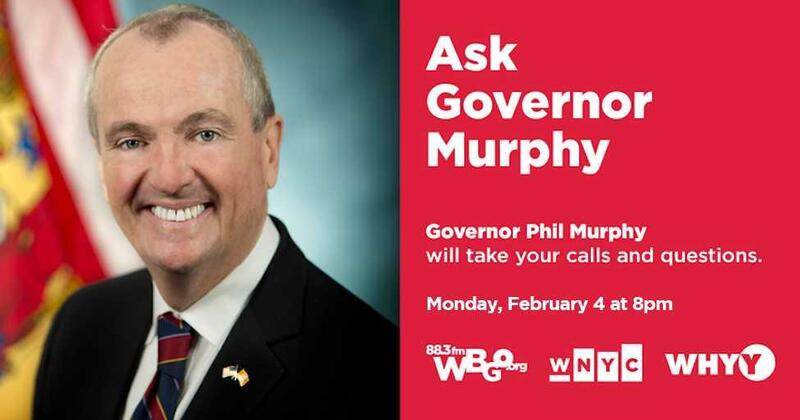 Minimum Wage, The Public Bank and Transportation Woes discussed on "Ask Governor Murphy"
The latest edition of Ask Governor Murphy aired Monday night February 4th on WBGO. Ask Governor Murphy is a WBGO News production in collaboration with WNYC and WHYY. The montly show is hosted by Nancy Solomon. The next show airs on March 13th. Click above to hear the February show.